Bernard Dunne boxed for the first time at the age of 6. Twenty-three years later, in an electrifying performance at the O2 arena in Dublin, he stopped the brilliant Ricardo Cordoba to take the WBA World Super Bantamweight belt. The path from the gym in west Dublin to the world title was often a rocky one. 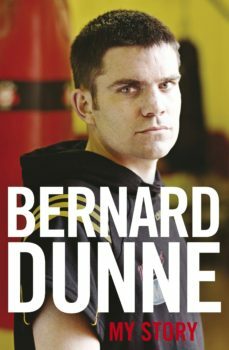 Here, for the first time, Bernard Dunne tells his own amazing story. It begins in Neilstown, where boxing ran in the family. In his amateur career, Bernard never lost to an Irish fighter; but he narrowly missed out on the 2000 Olympics, and rather than spend another four years as an amateur in search of Olympic glory he decided to go pro.Going pro meant going to California, and, under the tutelage of Sugar Ray Leonard and Freddie Roach, California became a land of dreams for Bernard. Twelve of his fourteen professional fights in America were televised nationally, and he was working towards a title fight. But he missed home, missed his family. He wanted it all: he wanted to win a world title, and he wanted to do it in Ireland.The way he went about doing that has made Bernard Dunne an Irish national treasure. After winning a European belt, he was defeated by Kiko Martinez; but he bounced back with courage and brilliance to win the WBA super bantamweight belt from Cordoba in front of a delirious crowd at the O2 arena. Rather than rest on his laurels, as many champions in his position would do, Bernard accepted the toughest challenge of all: from a slab of granite named Poonsawat. He lost the belt, but his courage and dignity in defeat were heroic. Now, Bernard tells the full story of his life and boxing career - a story full of surprises. It will thrill all his old fans and win him new ones.